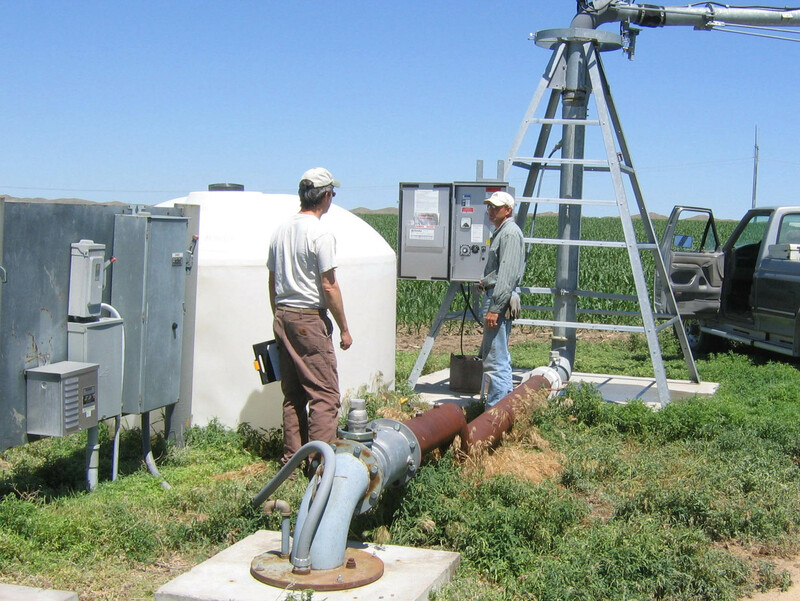 The goal of Groundwater Management within the Papio-Missouri River NRD (P-MRNRD) is to sustain our available groundwater resources as well as ensure a high quality of groundwater available for drinking and other uses. All 23 NRDs were required to implement Groundwater Management Plans in the early 1980s and revise them in the mid-1990s. The P-MRNRD’s new plan was approved in 2017 and includes some specific actions necessary to protect and enhance our underground water resources. The NRD hosted a series of stakeholder committee meetings across the six-county area. These volunteer stakeholder committees represented groundwater users in the NRD and the meetings were also attended by County, State, and Federal agencies who provided technical assistance and advice. The role of stakeholder groups was to convey local groundwater concerns, help define groundwater life goals and management objectives, help identify appropriate resources management actions, and serve as educators/advocates for groundwater in their communities. See the new Groundwater Management Plan here. Since 1992, the U.S. Geological Survey (USGS), in cooperation with the NRD, has collected and analyzed samples from wells across the District to determine the quality of groundwater in five principal aquifers. The five principal aquifers include the alluvial aquifers of the Elkhorn River, Missouri River, Platte River, and Upland sediments as well as the Dakota aquifer. The types of wells sampled include domestic, fire-suppression, industrial, irrigation, public-supply, and livestock. Information regarding the results can be found at USGS’s site. Chemigation is the practice of applying agrichemicals to cropland using an irrigation system to distribute both the water and chemical. The Nebraska Chemigation Act allowed the Nebraska Department of Environmental Quality to delegate the responsibility of administering chemigation permits to each NRD statewide. Therefore, before June 1st of every year, any landowner or producer wishing to use chemigation to apply fertilizer, pesticide, fungicide, etc. must submit a permit application to the NRD. Approved permits are only valid for one year and every system which will use chemigation equipment must have its own permit. New permits are $30 and renewal permits cost $10. Every new chemigation system must be inspected by NRD staff who are licensed Natural Resource Groundwater Technicians. As part of the rules and regulations, NDEQ also requires a chemigation certification training and exam that every applicator must take and pass before operating a chemigation system. Chemigation certification is good for up to four years and each applicator must submit their certification number and expiration date in order to obtain a permit. Visit http://water.unl.edu/cropswater/chemigation for more information regarding training. No one knows for sure how many abandoned wells exist in the state, but the potential dangers are well documented. Wells abandoned and not properly sealed in either urban or rural areas can act as direct conduits for pollution to reach our ground-water supplies. Left undiscovered and uncapped, these wells can entrap both animals and people. Recently, your NRD has begun an active and growing program to cost share with landowners the expense of capping old, unneeded wells. Up to 60 percent of the cost for capping wells is available by contacting your Papio-Missouri River NRD.